Koay Phaik Cheng has been a member of the Malaysian Institute of Accountants since 1994. She gained her Bachelor of Accounting degree in 1991 from the University of Malaya. Upon graduation, she joined Peter Chong & Co. as an audit assistant and was promoted to the role of audit partner in 2001. She has been involved in the taxation and audit of private and public listed companies in diverse industries. She has also engaged in business advisory assignments and corporate restructuring. She is currently based in Penang. 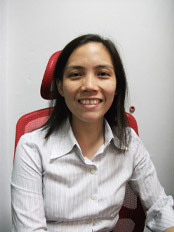 Gillian Chong gained her BSc degree in Accounting and Financial Management in 1997 from the University of Buckingham. She was admitted into membership with the Association of Chartered Certified Accountants in 2008 and the Institute of Chartered Accountants in England and Wales in 2009. She is also a member of the Malaysian Institute of Accountants. Ms. Chong joined the audit department of Peter Chong & Co. in 2003 as an audit assistant and was involved in the audit of private and public listed companies in diverse industries before transferring to the tax department as a tax consultant. 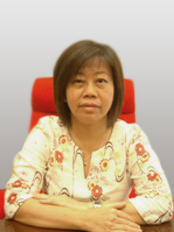 Ms Ng Siew Eng is a member of the Institute of Chartered Secretaries and Administrators and a graduate of the Chartered Tax Institute of Malaysia. She attained her Bachelor of Agriculture Science in 1986. Ms Ng has been involved in taxation since 1988. 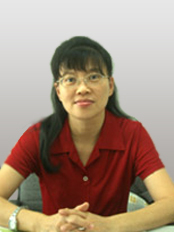 In 1996, she joined Peter Chong & Co as a Tax Senior, and currently holds the position of Tax Manager. She handles personal and company tax services and has experience in tax audits, back duty investigations, creditors' voluntary liquidations, tax planning and advisory matters. Tax Consultant is the person that advice on how to maximize tax refunds. Tax Consultant can help one company to reduce the time and energy on filling the taxes.